Hi! My name is Elwood but you can call me El! 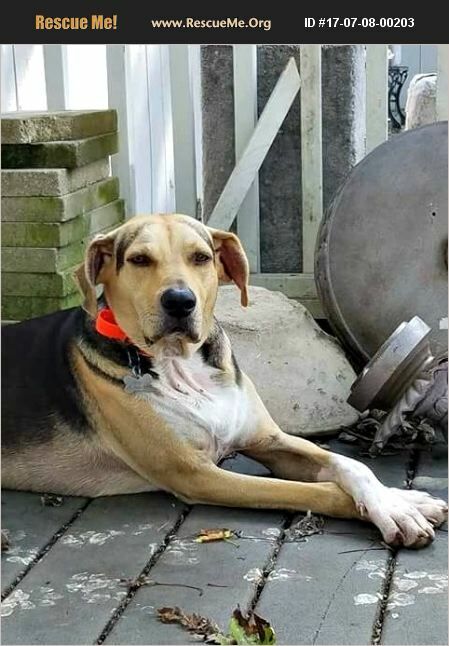 I'm a charming 2.5 year old, 60lb shepherd/hound mix. I am a very sweet, obedient boy that loves to give kisses and I just graduated from my 10 weeks of training in the RPSM Companion Program where I learned all my commands and some cute tricks. I have some food and environmental allergies, but I don't let that stop me from being a lovable guy. I am in a foster home with cats. If the cats run, I will chase them. I can be dominant at times when I play, but you call my name, I come running like a good boy. Since I am a hound, I will need a standard fence and I would do best with kids 8 and up because of my size. I am in a foster home so after being approved to adopt from the good RPSM folks, you can come meet me. Check out my training video before you leave. I'm neutered, UTD on all my shots, HW, and FT. I have a microchip in case I get lost and will require a physical fence to keep me safe. RPSM recommends homes with children 8 years and older. If you are interested in adopting me please fill out an application today by going to www.rpsm.org. My adoption fee is $300.